Plus other valuable services that support small business websites such as our great deals on hosting, domains and other web services from our affiliates that we like to work with. 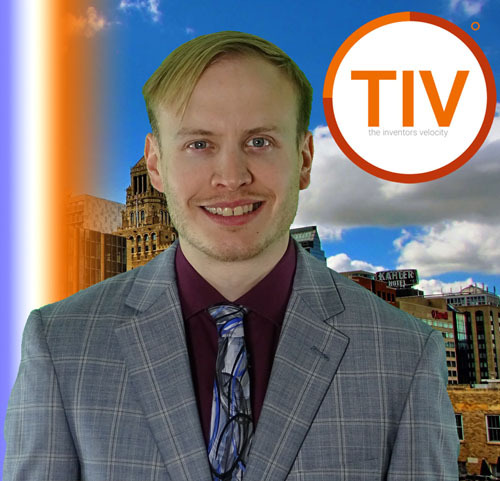 The Inventor’s Velocity is located in Rochester Minnesota but helps businesses all over the United States rank better with SEO services and marketing tactics crafted specifically for your business to succeed and get noticed. Let’s Have a conversation about your website needs and goals today! Hello my name is Brandon. I have been professionally building HTML and WordPress websites for all size businesses and industries for over 10 years. I have learned what works and what doesn’t through book learning, growth of the web industry, and trial and error. I want to provide to you all my web knowledge to make your business website great. Whether you use our WordPress training videos to learn how to use WordPress better to create posts and drive traffic to your website. Whether you want to get into Woocommerce and sell some products online or whether you just want to hand over your website to someone that can get great results, I have you covered with hand picked resources and quality service. Visit this website often. You will find many videos that can teach you many aspects of running a business website, useful tools that get results, training videos, professional opinions and top notch service. Want to do it yourself? This website will help send you in the right direction. Want some help? We are here and have every resource you need. Are you stuck and looking for real web results? Hire the Inventor’s Velocity! full small business website solution! The Inventor’s Velocity knows how every expense matters as a small business owner. Sales can be found here such as domains, hosting and other items through The Inventor’s Velocity or one of our 3rd party affiliates we believe in. Sales will be posted in the blog section and on here so check out the site often for a great deal! Our core is WordPress. WordPress is a great content management system that allows for beautiful themes with ease of use. Adding content to your website is easy with WordPress and site will stand out in the crowded competition. The new Gutenberg page editor has been released for WordPress and this editor will make it easier for small business owners to add pages, posts and media to their website and look great doing it. WooCommerce is a great way to sell products and services online. Even if you want your customers to buy products in store, you can use WooCommerce to display your products online and get your customers the information they need to make a confident purchase. It is easy to get a WooCommerce store up and running with the help of The Inventor’s Velocity. We have helped many companies successfully sell products online locally and nationally and expand their brand presence. SEO or Search Engine Optimization is a critical part of any small business website in 2019. What keywords do you want to be ranked for? Are all your customers finding your website? SEO is becoming an arms race, as you must do more than your competitors, with quality website content to outrank them. The Inventor’s Velocity has clients with incredible ranking results. Let’s discuss your SEO goals and develop a realistic plan that will get you improved search results and more customers! Google SEO is huge if you are a business! Make sure your website is found and reach out to new customers with Google. Whether its organic SEO tactics or Google Adwords, The Inventor’s Velocity has the knowledge and resources to help get the best bang for your marketing dollar. 2019 is a great year to invest in quality SEO tactics with Google. Your customers are looking for you on Google! Will they find you with the right keywords? Ask us about keyword research and we can get you on the map with Google! Don’t forget about Bing SEO! Make sure your website is inclusive to all web customers by using Bing SEO and advertising tactics. Bing is a closer rival to Google than you may think. Don’t ignore this marketing opportunity like your competitors are! Almost all Microsoft Windows computers use Bing as a default search engine unless the user switches to Google. Bing is a great way to get even more traffic to your website and store! As mentioned we are huge fans of WordPress. We also provide premium WordPress hosting and website hosting. Make sure your website is backed with top notch performance and speed with quality hosting and support. We have hosting options that can fit almost any small business budget. Plus the knowledge to get you the support services that your website needs to run optimally with your increasing customer traffic. We know what works for website hosting. Website Design is where is the starting point to a great website. The Inventor’s Velocity has the design team that has the experience and skills to extract your website ideas and put them on paper and transform them into a working design. Having trouble adding content to your website or have other web or marketing issues? Watch our training videos and product feature videos to become an expert at your website! It is easy to add refreshing content to your website with the new WordPress Gutenberg page editor. Without knowing code, you can easily add beautiful pages to your website and increase traffic and sales with quality website content. Let’s talk about what your website really needs. Contact The Inventor’s Velocity Today!